Chicken Blog: 30~ For Sneezes? and intended for blowing or wiping one's nose. 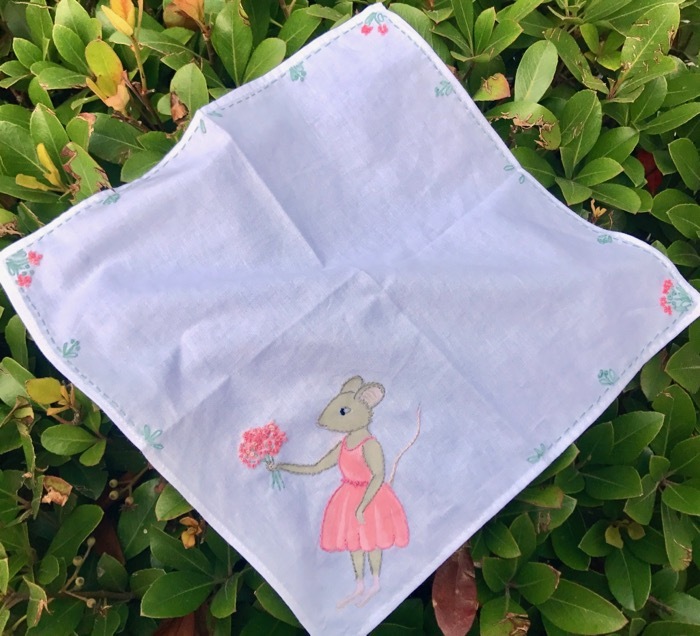 There are all sorts of descriptions and histories of the handkerchief. I've always liked the expression Lucy uses, in The Tale of Mrs. Tiggy-Winkle, when she asks the hedgehog laundress, "Have you seen my pocket-handkins?" "Why, there's another handkersniff, but it isn't mine. It's red?" And Mrs. Tiggy-Winkle, replies, "Oh no, if you please'm. That one belongs to old Mrs.Rabbit, and it did so smell of onions! I've had to wash it separately... I can't get out the smell." 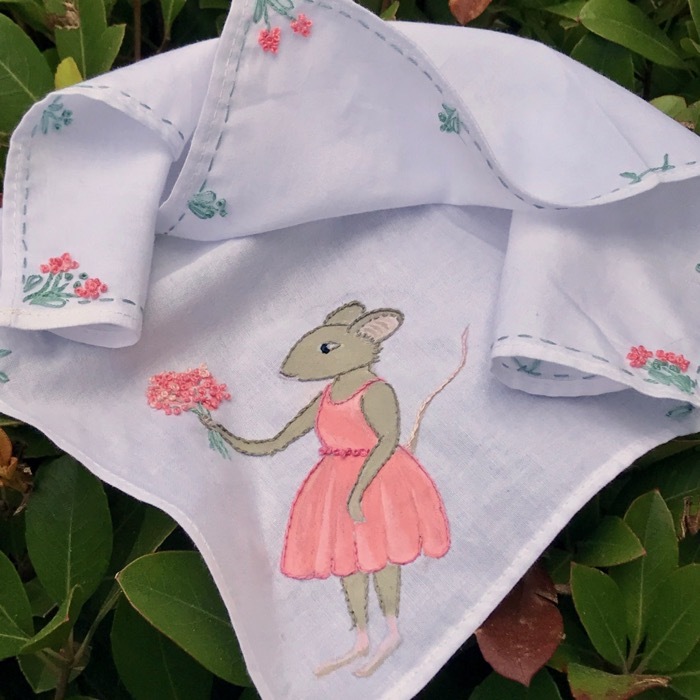 Pocket-handkins and handkersniffs... two words, alone, that endeared me to Beatrix Potter. These pocket-handkins came four to a pack, from Collage, in Portland Oregon... a Sublime Stitching blank textile. Just the kind of souvenir I cannot resist... one that packs easily, and will inspire creative play. 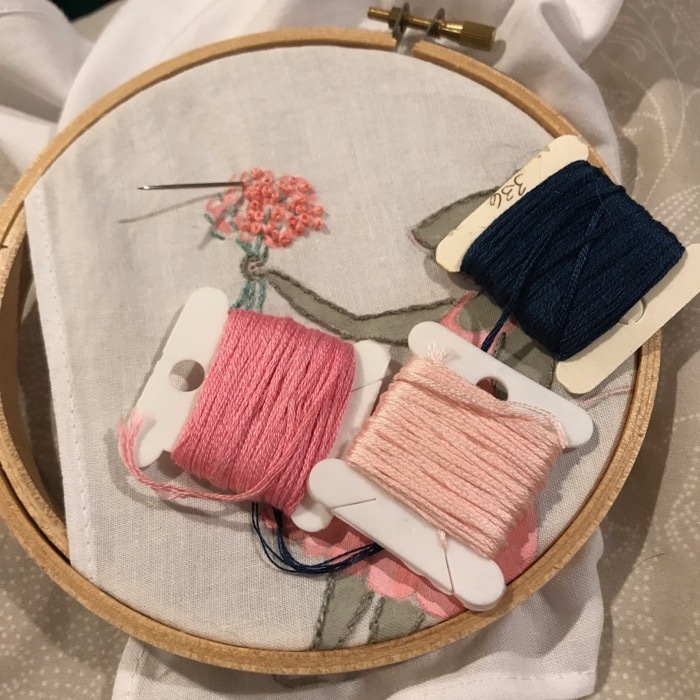 I decided to revisit painting and embroidering. 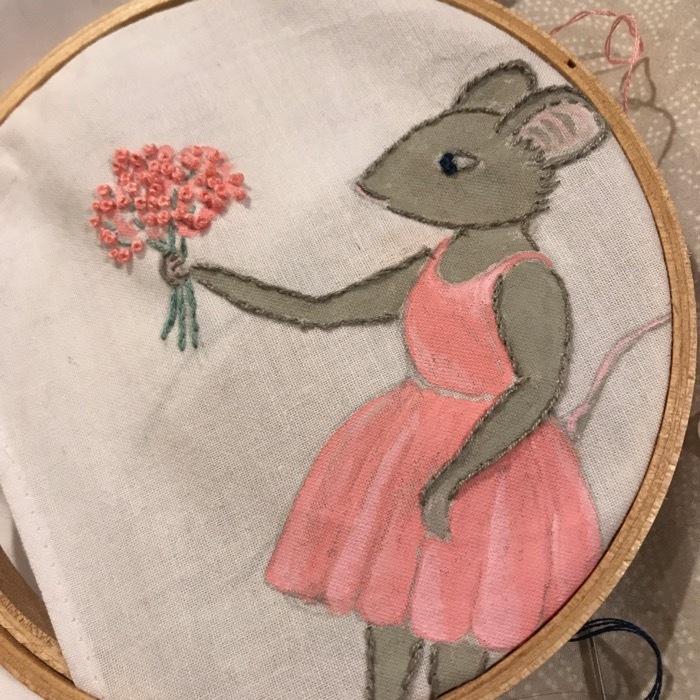 So, I drew a romantic little ratty, with her bouquet of pink posies. Then I used acrylic craft paints to fill in color. I use water sparingly, and the cotton square was heavy enough, that none of the paint seeped through, which is nice. A bit of navy blue floss for her eye, and gray for her face, arms, and legs. A pale, sage-y green for the stems and leaves, and three shades of pink for everything, else, including all of those French-knot flowers. After outlining her dress, and creating a belt of posies around her waist, I trimmed the edges in leaves, and more flowers. 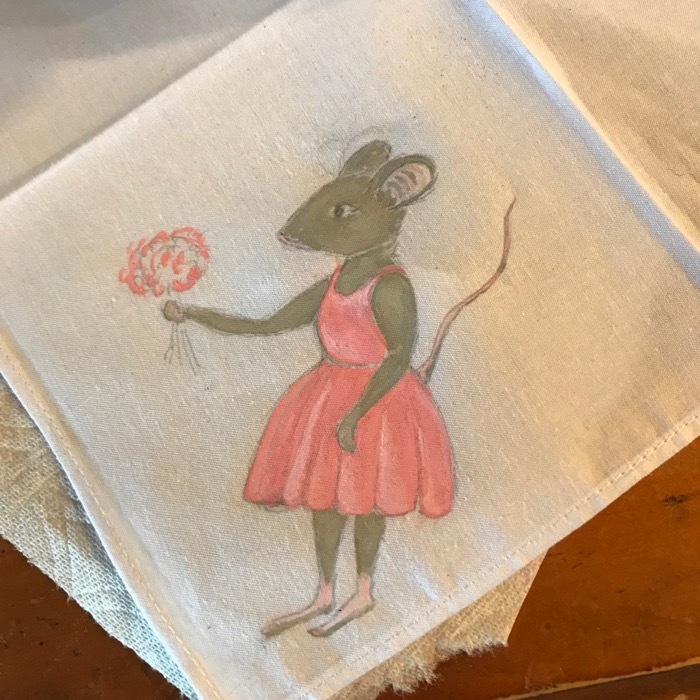 Because, I love anthropomorphic rats and mice and bunnies, and romantic bits, like pocket-handkins embroidered by hand. I wonder, would I actually sneeze into this little handkersniff? I would not sneeze into that handkersniff.